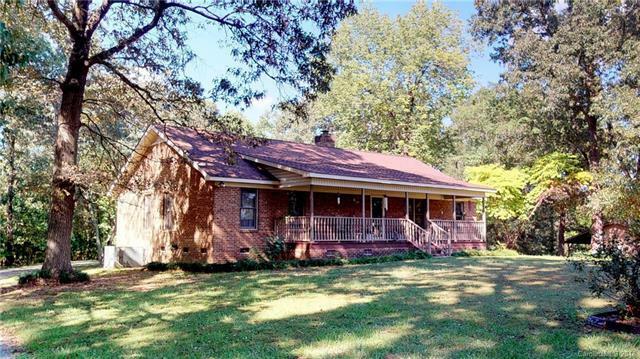 Amazing full brick ranch home with fireplace and HUGE detached garage/workshop (40X50) on over 5 acres surrounded by beautiful hardwood trees in Union County. Entertain in the kitchen w/double oven, breakfast bar, and brick wall feature opening to the dining room. Other features include a fireplace with wood burning insert and built-in cabinetry, oversized master bedroom with en-suite bath and spacious closet/storage. Enjoy the rocking on the covered front porch and entertaining on the large back deck. The 2,000 sqft workshop is equipped with power, plus an additional storage/outbuilding. Roof Installed in 2014! NO HOA's!! !